Pohang University of Science and Technology was founded with the purpose of contributing to the nation and humanity by conducting in-depth science and engineering research on the profound theories and wide range of applications essential to the advancement of Korea and the world, training a select pool of talented students to become future global leaders with both knowledge and honorable character through high-quality education and translating research outcomes into real-world applications realized through close collaboration with industry, academia and research institutions. 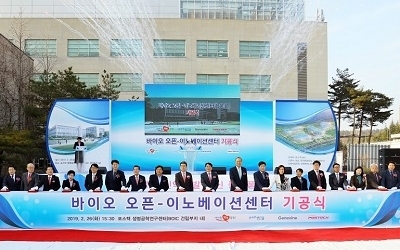 In order to fulfill this purpose, Pohang University of Science and Technology not only focuses on advanced research in diverse fields of basic science and engineering by cooperating closely with world-leading universities, but also strives to develop itself as a global hub for research related to the materials sector. Pohang University of Science and Technology strives to become a world-class university by emphasizing well-rounded as well as specialized education to produce intellectuals with integrity, creativity and challenging spirit and by expanding the scope of industry-academia collaboration to improve human welfare. Ever since its establishment in 1986, POSTECH has stayed true to its role in Korean higher education as a pioneer in science and technology research. Located in the city of Pohang, the 400-acre, park-like campus is home to the Pohang Accelerator Laboratory and minutes away from POSCO, the fourth-largest steelmaking company in the world. POSTECH has come a long way in its short history to become globally recognized as one of Asia’s premier universities and among the most selective, highly ranked research universities in Korea. The founding principle behind POSTECH’s establishment lies in providing a student-centered education in a highly collaborative and intimate academic community. The university’s undergraduate program is made up of 11 departments (4 science and 7 engineering) and 1 division. The graduate program is made up of 11 Departments (4 Science and 7 Engineering), 5 Divisions, 2 Inter-disciplinary Programs, 2 Professional Graduate Schools and 1 Special Graduate School. POSTECH’s student-to-faculty ratio is 5.1:1, allowing students to work closely with our outstanding and award-winning faculty. POSTECH provides the highest educational investment and the most per-student scholarship support in Korea, allowing talented students from all economic backgrounds the opportunity to obtain a POSTECH education. Maximization of the university’s research capabilities has always been the utmost priority of POSTECH. Home to 73 research centers, POSTECH offers many state-of-the-art research facilities, including Korea’s only synchrotron radiation facility. Support on all levels ranging from infrastructure to management and finances have resulted in many distinguished research achievements. In 2012, POSTECH was ranked first in the Times Higher Education’s “100 under 50” which lists the top 100 universities in the world under 50 years old. POSTECH is guided by the university’s motto of Integrity, Creativity and Aspiration as it strives to become a top 20 world university by the year 2020.